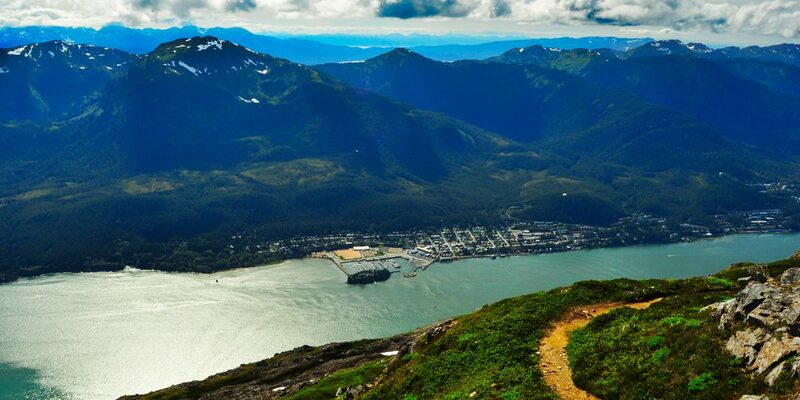 Douglas is a community on Douglas Island in southeastern Alaska, directly across the Gastineau Channel from downtown Juneau. Today, Douglas is a residential community on Douglas Island and the only traditional school left on Douglas is Gastineau Elementary, which serves all the Douglas Island elementary aged students. The Douglas Public Library is part of the Capital City Libraries, and a couple restaurants and bars exist. Douglas Island was originally a border of the Auke people’s and Taku people’s territory. It was not usually used for year-round settlement, but as a place to spend the summer, or at times a place for battles. In 1902, the city of Douglas was incorporated. Douglas continued to have its own dairy (Douglas Dairy, owned by Joe Kendler) until 1923 when it moved across the channel. At this time, there was a regular ferry between the towns of Juneau and Douglas.